Home Lifestyle Keep Calm and Relax With Yoga! Yoga is an all natural way to connect with one’s breathing. 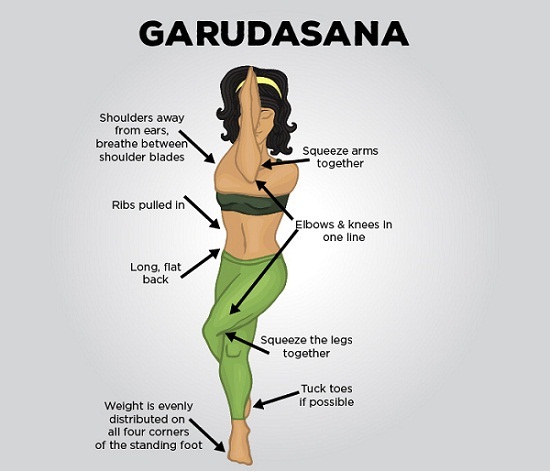 A combination of postures and breathing techniques helps relax our mind, brings balance within the body, regulates breathing and improves health. Its one of the most sought after techniques to de-stress. Do not push your body beyond what you are capable of. Watch the explanation video to get a better idea on how to move through the postures. Do practice under the guidance of an instructor. Do them on an empty stomach. Make sure you don’t eat anything one hour before doing yoga. This is a calming pose to quiet the mind, release stress and anxiety while stretching the back. It’s good for the nervous and lymphatic system. It allows gentle stretching of the back and legs. It can reduce backaches, anxiety, fatigue, insomnia, and even high blood pressure. It opens the chest and makes the mind alert. Do not do this if you have a neck injury or in late pregnancy. Stretch only to a comfortable point. It stretches the hamstrings, thighs, and hips. It is a good pose if you want to distress your body and mind. It eases symptoms of menopause, asthma, insomnia, and fatigue. It strengthens the spine and neck and helps reduce high blood pressure. Start by resting hands on your hips, exhale and bend forward from the hip joint. Draw the belly in, keeping knees straight and place your palms down beside your feet on the floor. It helps improve balance and concentration by opening up the shoulders, upper back, and hips. It increases the suppleness of the body and neuro-muscular coordination. It increases strength in ankles and calves, helps get rid of urinary and kidney problems. It is very good for the body posture as well. It is quite beneficial for the body as it allows the body to stretch and is also a commendable stress reliever. It helps improve digestion, relieve backache especially during pregnancy, strengthens back, neck and abdominal muscles. It is known to be therapeutic for flat feet, neck pain, osteoporosis, sciatica and symptoms of menopause. It gently stretches the lower back and helps relieve stress while massaging the spine. Start with your hands and knees in a “tabletop” position. Make sure your knees are set directly below your hips, and your wrists, elbows, and shoulders are in line and perpendicular to the floor. Center your head in a neutral position with eyes looking at the floor. 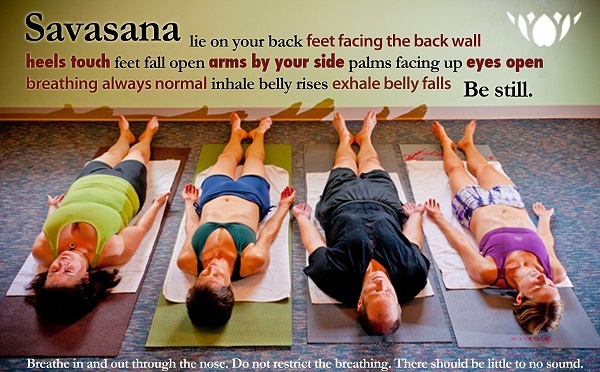 As you exhale, round your spine towards the ceiling, making sure to keep your shoulders and knees in position. Release your head towards the floor, but don’t force your chin to chest. Inhale, coming back to neutral “tabletop” position on your hands and knees. It is often paired with the “Cow Pose” where one stretches the head upwards, arching their spine. This is easily the most calming of all the yoga poses. A state of deep rest, it slows down breathing enveloping the mind in calm and quiet. It’s difficult as it requires the individual to lie really still, focusing only on their breathing. It is believed to slow down the aging process and is a great stress buster too. It literally translates to “inverted action“, helping the body achieve a state of rest. It alleviates high blood pressure, menstrual cramps, varicose veins, digestive problems, headaches, calms the nervous system and regulates the respiratory system. Do not indulge in the pose if you have glaucoma, or other eye problems and neck injury. So these folks, are a few simple poses for you to calm yourself and relax with yoga. Do look at the videos and then indulge in the asanas in order to avoid injury. 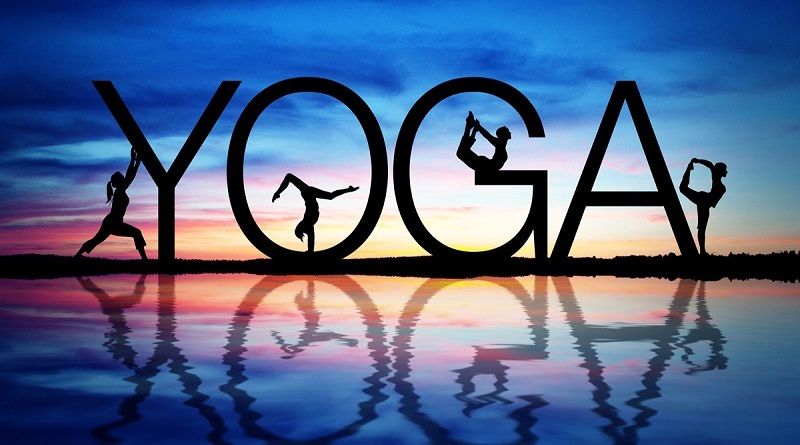 Yoga essentially reduces stress by encouraging deep, rhythmic breathing. Controlling one’s breathing allows for better oxygen and blood flow to all parts of the body. People often resort to alleviate physical or mental symptoms via quick fix solution. “Sirf ek Saradon aur sardard se aaram,” but these symptoms are often a result of stress. By doing yoga, or even deep breathing exercises, you have a long-term and permanent solution to deal with stress and actually even preventing it. My friend once told me, “Don’t give attention to tension,” well, that’s easier said than done. But even midst of all that tension, you can always trust yoga for finding inner peace, calming your mind, relaxing your nerves. So keep calm and relax with yoga.